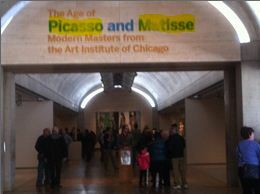 On exhibit at the Kimball Art Museum in Fort Worth is show of art called “The Age of …”; here, today I took a photo from the outside in (since photography isn’t permitted within). Now, I guess you noticed that the one name I’ve highlighted for you is ambiguous: “Would that be, Marcel Duchamp?,” you ask. Well, yes, his works were there too. 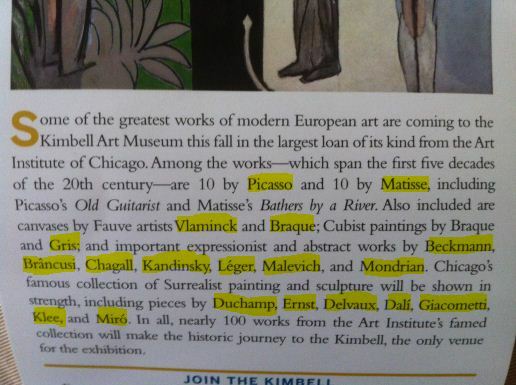 But what if I told you this work was there (which I’ve copied from the webpage of the Art Institute of Chicago)? Yes, you’re right. It’s by Marcel’s little sister, Suzanne Duchamp-Crotti. And her piece was there with his pieces. But the following is not one of his, or his, or his, or his, or his, or his, or his, or his, or his, or his, or his, or his, or his, or his, or his, or his, or his, or his, or his either. 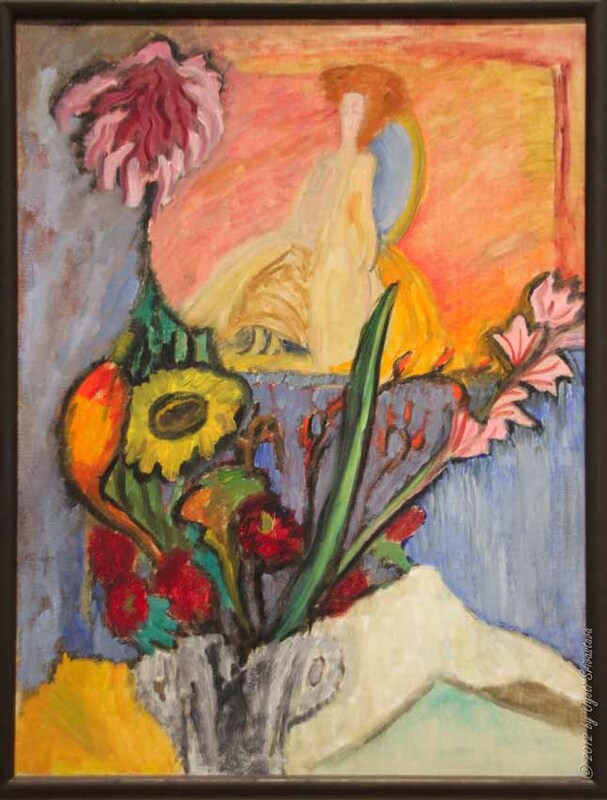 That one you may recognize is the single piece in the exhibit by Gabriele Münter. Then there’s this one. Who’s it by? Well, I don’t blame you if it takes you a while given all those named on the brochure and those for whom the exhibit is prominently named. Yes, not one of those guys. 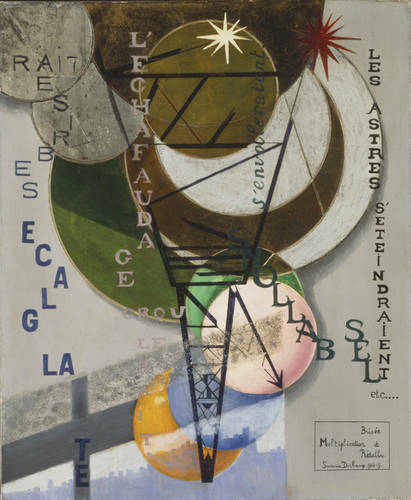 Rather, this third piece of the one hundred and seven works of art shown is the one by Nathalija Gontcharova.